Hot water is important to our daily lives. We use it to bathe, wash clothes, and wash dishes. However, using hot water in our homes can be expensive; it can also take a toll on the environment. According to the U.S. Department of Energy, about 18 percent of the average household utility bill (and carbon footprint) comes from heating water. For these reasons, many homeowners are investing in energy-efficient water heaters that are not only good for the environment but also help to lower water heating costs. While there are many options on the market, a tankless water heater is a good choice if you’re searching for a model that is eco-friendly and kind to your pocket book. The following is brief look at tankless water heaters and why these models are superior to conventional storage heaters. Also called demand-type water heaters, tankless water heaters are designed to heat water directly without the need for a traditional storage tank. Due to its small size, it can be mounted on the wall either inside or outside of the home. Research has shown that tankless water heaters can be up to 30 percent more energy efficient than conventional water heaters. This is because traditional water heaters have to constantly heat up the water, while tankless water heaters simply heat water only as needed. In addition to conserving water, a tankless water heater can save you a lot of money. An average household can save $100 or more per year with a tankless water year that is qualified by Energy Star, according to Energy Star. Tankless water heaters also last longer than conventional water heaters. Most units can last more than 20 years, while conventional storage units only last about 10 to 15 years. In addition to a longer shelf life, tankless water heaters have replaceable parts that are easy to install, extending their life even longer. Do you need a new water heater? If you’re in the market for a new water heater, consider buying an efficient, water-saving tankless water heater to reduce hot water use and save money. You might need a new water heater if your current model is more than seven years old, or broken beyond repair. Once you’ve purchased a new water heater, remember to have it properly installed by a professional water heater installer. You can also research additional tips on how to save more money and reduce the environmental footprint made by heating water. This article was provided by Payless Water Heaters, a leading provider of water heater systems and installation services in California. Visit Paylesswaterheaters.net to learn more or purchase a new water heater today. Probably as American as the Craftsman style home, the Country design aesthetic is known to include functional augmentations, such as the “dutch door”. The Dutch Door is often seen in film where the top portion opens outward to the yard, while the bottom portion of the door remains stationary, creating a perfect place to cool the freshly baked apple pie. Dutch Doors can be created from a solid door by your local carpenter; however, a Dutch Door can easily be purchased from a door manufacturer. ETO Doors has a range of dutch doors available for purchase at www.etodoors.com. The Craftsman style was popularized prior to the mid-century modern craze of the 60s. Craftsman doors are identified by the “lites” or windows that are installed on the upper 1/4 of the door, and are often accompanied by the dentil shelves, which rest immediately below. Dentil shelves are more fashion than form, but have become the trademark of the Craftsman door. Craftsman style homes, and their doors, are common in the Pacific Northwest as well as in pockets of Southern and Northern California. The double-door is the mark of regality- it creates a grand entrance into your home, but also becomes incredibly handy when moving in large furniture, or preparing to host an event. It should be no surprise double-doors hearken from the Middle Ages prior where castles would have both doors open outward as a welcome to neighboring kingdoms or countries. Double Doors both can be active (meaning both doors swing open); however, many times one of the doors remains inactive, which means that it will not swing like a normal door. Inactive doors typically can be opened by unlocking the flush-bolt that is installed on the upper interior side of the door. The flushbolt receiver is located in the header jamb of the door frame, which stabilizes the inactive door to the frame until its removed. The flushbolt system keeps the locking of an interior door simple, but secure. Regardless of your style, one of these doors will likely fit your design aesthetic. Craftsman, Dutch Doors, and Double Doors are all available at www.etodoors.com, and if you want to speak with an experienced door specialist, call 888-DOORS-ETO. Winter is nearly here, which means it’s time to stay warm and toasty inside. Your home is supposed to be your protection from the outdoor elements, especially the during fall and winter months. This is possible through a home heating system or furnace. If you own one, then you know how wonderful it can be. But you also know it can be expensive to run. So how do you enjoy a heated home without raising monthly energy costs? During a weak economy homeowners are always searching for ways to maximize their home heating units without increasing their energy bills. Here are a few ways you can improve the efficiency of your home heating system without adding more dollars to your energy bill. Replace your heater filter on time. Your home is designed to keep the heat out; it is built with great installation and efficient seals including the windows and the doors. However, because of this the home can also trap contaminants such as dust, bacteria, and dirt, all of which get circulated back into the air you breathe. An older filter simply won’t do the job. Without a new Honeywell furnace filter, for example, your heater will simply circulate the unhealthy contaminates. Replace your heater filter at least once a month to ensure that it works properly and capture contaminates. You can tell if your filter needs to be replaced if it is dark and dirty, or if it’s past the time designated by the manufacturer. When replacing the filter, make sure that you purchase the right size, such as 3m furnace filter. Take advantage of the automatic precision control. Many of today’s modern heaters come with automatic, precision control. If you need a new heater, then purchase with this feature. If your current model has this feature, use it. It is designed to provide your home with the perfect amount of heat and airflow, even if it is freezing outside. Read the manual and learn how to use the custom settings to maximize your heating system year-round. Keep the temperature down. While it seems obvious, many homeowners waste money on energy bills because the temperature is too hot. The best times to keep the temperature down are during the night and when you’re gone. What’s the perfect, most comfortable temperature? For most people, the best temperature is an average temperature between 68-72 degrees. Keeping it between 68 and 72 will keep you comfortable and help lower your heating bill. This article was posted by Your Filter Connection, an online retailer of heater and cooling filters from trusted brands. Maximize your heater by replacing the heater filter today. Visit the website to learn more or purchase a heater filter. There’s nothing like a heated floor on cold mornings. If the first thing you do when you crawl out of bed is hop in the shower, stepping on the warm tiles can make the first moments in the morning a treasure. Entry way tiles, kitchen floors, and the like are improved by this miracle of modern engineering. They are easy to install, extremely affordable for all incomes, and do wonders to improve the feel of your home. What follows are a few things to consider when deciding whether electric heated floors are right for you. Heated floors are safe for the whole family. Granted, they are powered by electricity, which can cause concern for some folks, especially since heated floors are typically located in places where floors get wet. However, once installed, electric floors are almost impossible to damage. In addition, the thermostats are designed to turn off if any issues, such as a short. Companies like Easy Heat consider safety to be a priority so there should be no worries or concerns. Since we have touched upon the subject of electricity, let’s talk about the savings to your power bills. Heated tiles can actually reduce your climate control costs, with an average savings of 25 percent. Powering a floor uses very little electricity, enough to power an electric blanket or large television. With the amount of financial concerns that most Americans live with in recent years, this could be seen as a blessing. And with the savings to your monthly bills, having an ingenious device such as this pretty much pays for itself in the long run. It is relatively easy to install. Anyone with any construction experience, especially dealing with laying tile, should have no issues putting a heated floor in place. At it’s most basic, the electric cable laced mat is embedded into the mortar with the tile as the top layer. That’s really all it is. And though a heated floor can’t be retrofitted onto existing tile, the process of installing new tiles is a pretty basic job. If you’re considering a bathroom or kitchen remodel, that would probably be the perfect opportunity. The most important thing to consider however is the comfort that is provided for you and your family by having a heated floor in your home. It provides warmth, safety, savings, and is relatively simple to install. In many ways, it just makes so much more sense to have one rather than the opposite. Heated floors are an amazing example of modern engineering, designed with the comforts of home in mind. And in no time, it could be in yours as well. This content has been provided by EZ Floor Heat, the company that specializes in electric radiant heating and other devices. Be sure to click on the hyper link and see what we have in store for you. This article provided by ETO Doors. Please visit ETO Doors Fafebook page through this link. For more than ten years ETO Doors has been in business. 1. Save Money! Replace the door with an energy efficient model for tax credits. If you’re living in the U.S., the government is most likely still offering a tax credit of up to $500 on door and window replacements, excluding labor costs. Energy Star is the rating system that the government uses to evaluate a products ability to save on energy costs. Fiberglass and wood doors can also come with specific ratings with respect to their noise coefficient (how much sound is absorbed, rather than transferred, as well as ratings on their hurricane/weather resistance). 2. Prepare to Sell! If you’re planning to sell your home in the next 3-5 years, replacing your front door is a quick way to increase the value of your home, as well as its street appeal. When replacing your door with the underlying expectation that you will list your home in the future, it’s important to select a new door that is design neutral, which will allow prospective buyers to better catch a vision of themselves within your home. Heavily designed homes can often feel so unique that prospective buyers simply cannot see themselves living in the environment. Keep this in mind when selecting your door. 3. Keep the City Out! If you live in a high-traffic area, selecting a door with the appropriate noise-canceling abilities is paramount. Part of the charm of living in the city, is also being able to escape the bright lights of the city, for the comfort of your home. But sometimes having your brownstone on the Main Street that becomes nightlife central on the weekends makes it nearly impossible to enjoy a night inside watching your movies. Well, it’s probably your neighbors or the people outside, but the point is you need a front door that can reduce the noise that travels inside your home or apartment. When selecting your new door, speak with a salesperson about the noise reduction abilities and begin planning a quiet night inside! ETO Doors has one of the largest selections of new doors in wood, fiberglass, aluminum and steel finishes. Call 888-DOORS-ETO for more information on a new door, or to speak with a salesperson directly (213-622-2003) about your best door options. Your living room is the focal point of the home, the place where the entire family can gather to chat, relax, or watch TV. However, old and worn sofas can dampen the entire look of the room. An easy way to transform your living room is to update your couch cushions with new foam inserts as well as new covers. Updating your sofas with new foam replacement will extend the life of the couch and make it more comfortable, while adding new covers will bring new style and color to the room. Updating old and worn sofa cushions doesn’t have to be difficult or expensive. In fact, with a few tools and the right materials, you can transform your living room décor in a few hours. Buy the right kind of foam. Foam retailers offer a wide selection of foam products designed for various applications, from mattress foam to foam designed for packaging. In order to properly change your sofa cushions, you need to purchase the right type of foam. Look for foam designed for seats and cushions, such as Poly Foam. Poly Foam is medium firmness foam ideal for occasional use, such as sofa cushions that don’t get used every single day. But if you think you need something hardy, select high-quality foam designed for heavy duty use. Most foam retailers offer foam ranging from soft to hard and everything in between. Shop for new sofa seat covers: When searching for sofa seat covers, you have the option of buying ready-made covers or sowing your own. Depending on your budget and comfort level, buy sofa covers that match your living room décor. This is the best way to upgrade your living room without having to redecorate everything else. Purchase the appropriate tools and equipment. Replacing your old sofa cushions is easy when you have the right tools. After you purchase the right kind of foam online, you will need the right tools and equipment. To start the project of revamping your old couch cushions with new foam you’re going to need a tape measure, paper, and a pen or pencil, paper. Of course, you will also need your foam and new covers. Replace your sofa cushions. Before you can insert new foam into your covers, remove the old foam out of the cover. Don’t throw it away just yet. You will need to bring out the measuring tape and measure the foam in order to cut the new foam to the right measurements. After you have measured the old foam, you will also need to measure the old covers. When you have both measurements, you can cut the foam. This feature article was provided by The Foam Factory, an online retailer of high-quality foam products, including foam inserts for sofas, boat foam, and mattress foam. Purchase new foam for your old sofas today. It has been considered the next evolutionary step, adapting our environment to suit us. Whether in a home or a business, air conditioning and heating are as commonplace as owning your own vehicle. It isn’t just a luxury anymore. 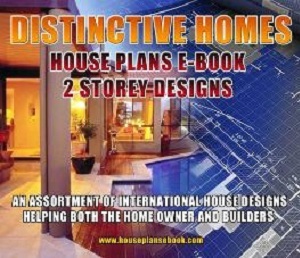 Instead it is an element of contemporary companies and homes. In addition, many older homes and business have been retrofitted to allow air conditioning and heating to provide the comfort that only modern climate control can provide. But as marvelous as these inventions are, we need to do our part to keep them functioning properly. For example, were you aware that an air conditioning filter needs changing on a regular basis? By neglecting to change the filter, not only will your air conditioner run improperly, you can also damage the device by making it work harder than it needs to. If your air conditioner is running properly, then the set temperature will be achieved. However, if you begin to see your power bill become larger or your device has a problem cooling your house, a good portion of the time it is nothing more than a dirty filter that needs changing. In addition, you may find yourself feeling uncomfortable or tired in your home, only to feel better as you leave the environment. A contaminated filter can produce these ill effects. Even more so at this time, your filter probably needs changing. And yet how about the reverse equation. What if we want to heat our house. Would a Honeywell furnace filter need changing as well? The truth is, most modern furnaces do require a filter, both for health and safety. In some ways though, neglecting to change your furnace filter can be even more dangerous to the well being of your household and home, going beyond the negative effects of neglecting to change an air conditioning filter. Without a regular servicing schedule, a blocked or dirty air filter can become a serious fire hazard. When a filter become blocked, heat and possible fumes can gather to create a very dangerous environment. And with the health and safety of those under your roof, it become very apparent that proper maintenance is essential. By having a regularly service schedule in place, you can save quite a bit of money in repairs costs if damage were to occur. With the worst case scenario in mind, by taking proper care of our air conditioning and heating filters, we can actually prevent injury and loss of life. The content within has been provided by the fine folks at Your Filter Connection, providers of the Replacement Honeywell Air Filter selection and other products. Click on the hyperlink to see what they have to offer you.